Dragons are among the most popular and enduring of the world's mythological creatures and are part of tales in many cultures from Europe to China. The dragon can be a symbol of power, strength, and good luck for those who are worthy and often plays an important role as a guardian of treasures. 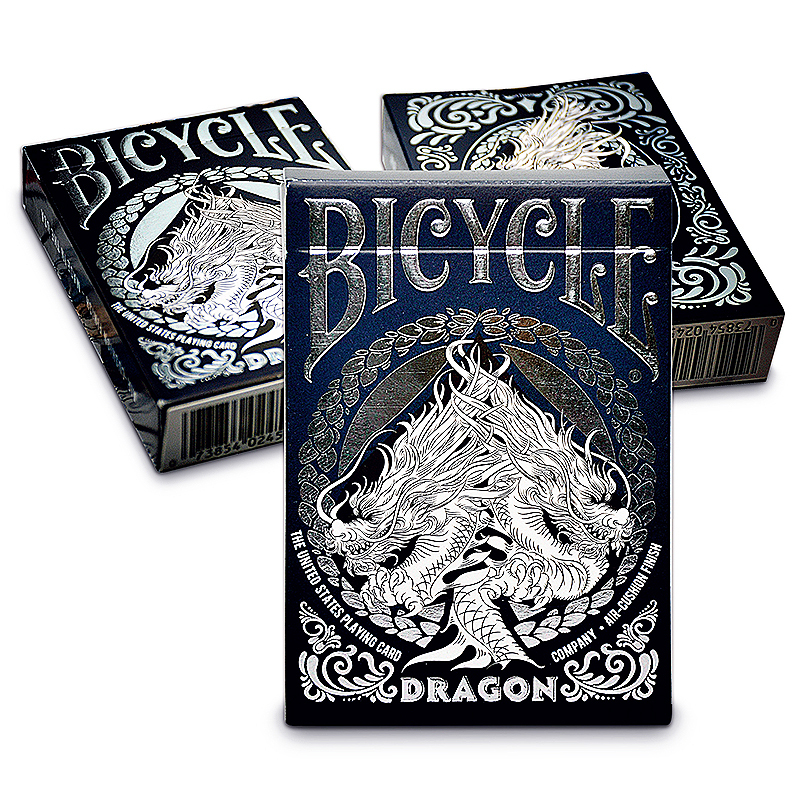 Bicycle playing cards brings these legendary creatures from the world of fantasy to your hands with the Dragon deck. - Court card faces feature intricate and unique hand-drawn designs. - Premium tuckbox with foil and embossed details. - Printed on premium Bicycle brand cardstock. - Classic Air-Cushion Finish for ease of shuffling and optimum performance. - Made in USA. • The cards are poker size and of the usual Bicycle quality.